How married/divorced women are usually perceived! Posted byRed Lips High Heels July 29, 2013 Posted inMen, Violence against Women, Women’s Roles and SituationsTags: Discrimination, Divorced women, Lebanon, Married women, Sexism, Social constructions, Society pressureLeave a comment on How married/divorced women are usually perceived! I woke up a Girl! 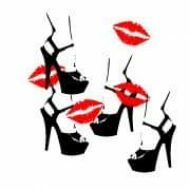 Posted byRed Lips High Heels July 26, 2013 Posted inMasculinity, Men, Personal Stories, Violence against Women, Women’s Roles and SituationsTags: Discrimination, Lebanon, Sexism, Women in Lebanon, Women's Rights3 Comments on I woke up a Girl!